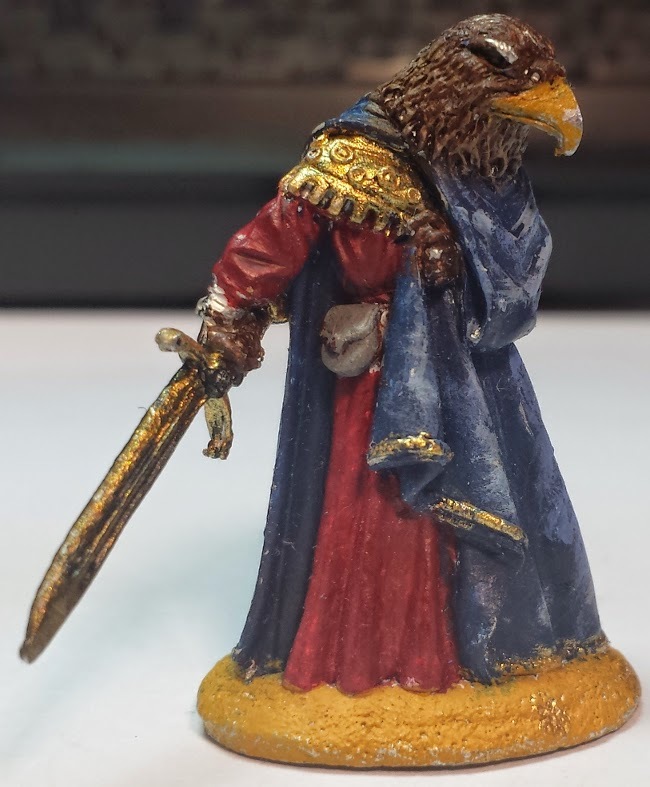 Elijah Painted this hawk man from Dark Sword Minis for his Anthropomorphic Campaign. The Birds in Elijah's world were a mysterious, semi-mystic race called the Eyr. That were both feared and venerated by the other animals. 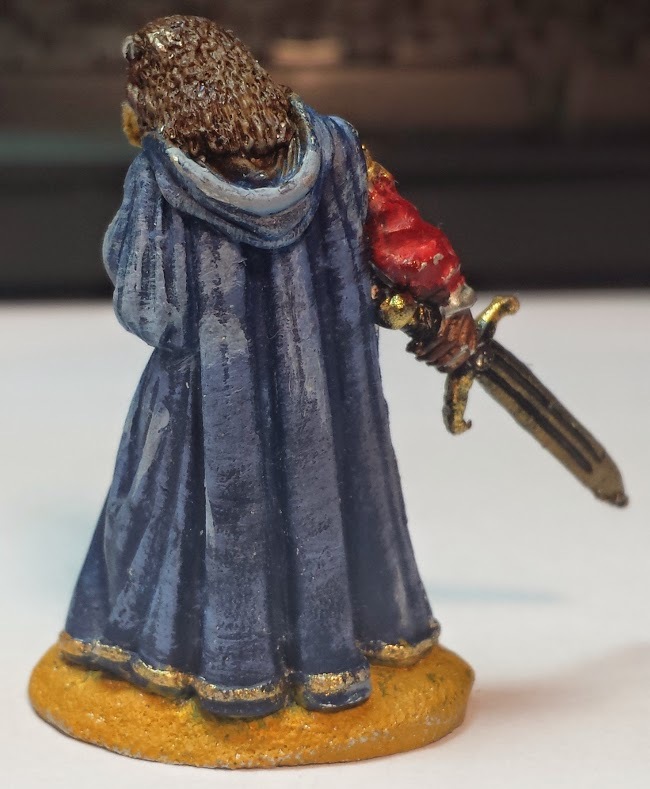 Though the party did encounter them, they only spoke with them in a strange telepathic dream, so they remain shrouded in mystery.